1. 18" or larger diameter wheels required. Stock 17" & 18" wheels cannot be reinstalled. Stock 20" wheels can be used with up to a 305/60-20 tires. Block kits replace factory 1-1/4" block. 3. For a level to tail low appearance use accessory #013429. 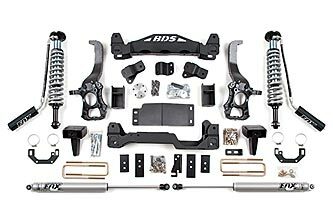 Block kits replace factory 1-1/4" block. 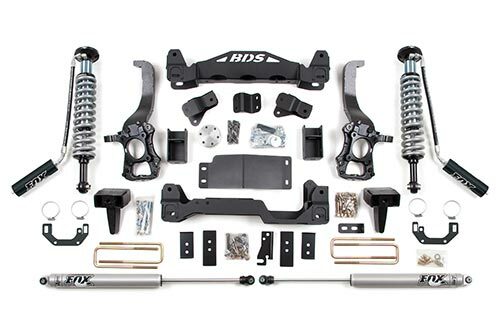 BDS Suspension is leading the industry by independently testing all suspension kits to verify our kits are fully compliant with the stability control system requirements set by Federal Motor Vehicle Safety Standard (FMVSS) No. 126.